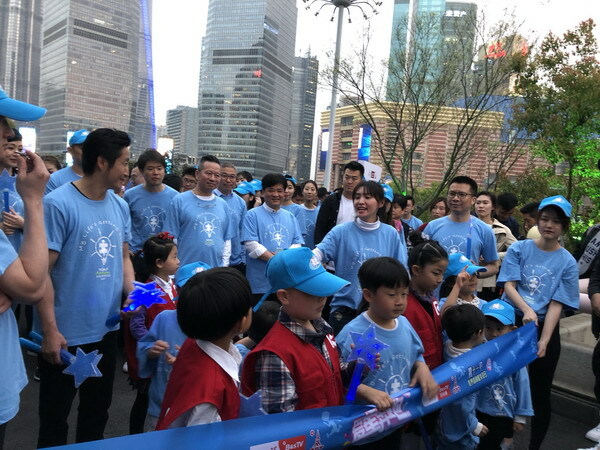 "Love Star Run" public welfare activities, co-sponsored and launched by SSCLF - Han Public Welfare Special Fund and BesTV was held at the city square under the Oriental Pearl TV Tower on April 2, 2018. 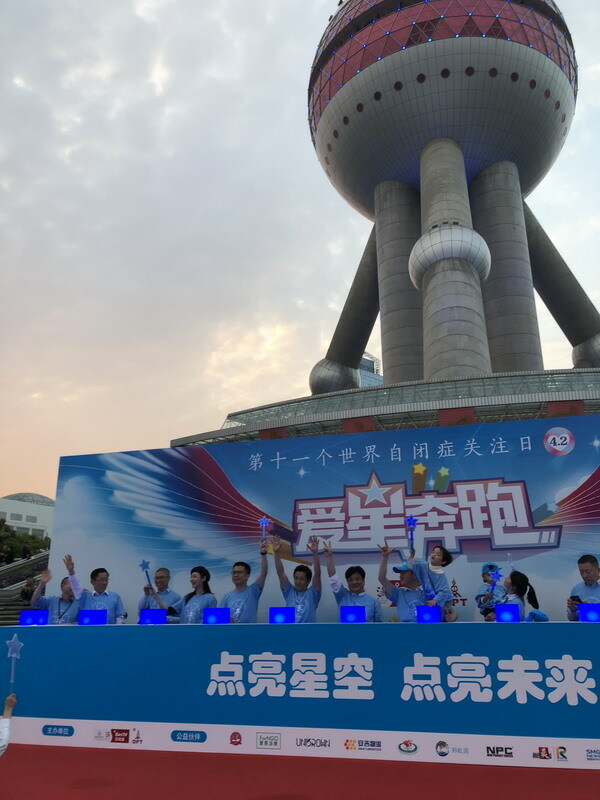 SSCLF’s acting secretary general Mr. Jia Yong and SSCLF – Han Public Welfare Fund founder Mr. Wang Yu and caring people from all walks of life lighted up the Oriental Pearl TV Tower blue lights for the World Autism Awareness Day. Blue is a symbol of the inner world the autistic people do not easily open to the outside world, but also as a symbol of their purity. On Autism Awareness Day every year, many landmark buildings in China and around the world light up blue lights, praying for “the children of the stars”. 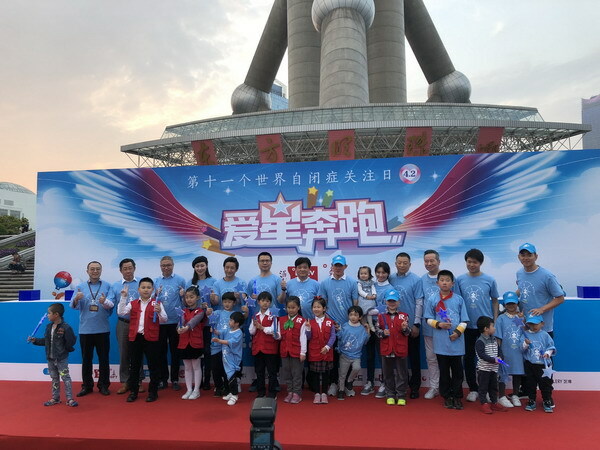 The event won strong support from Shanghai Oriental Pearl Radio and Television Tower Co., Ltd., Anji Logistics and other caring enterprises. 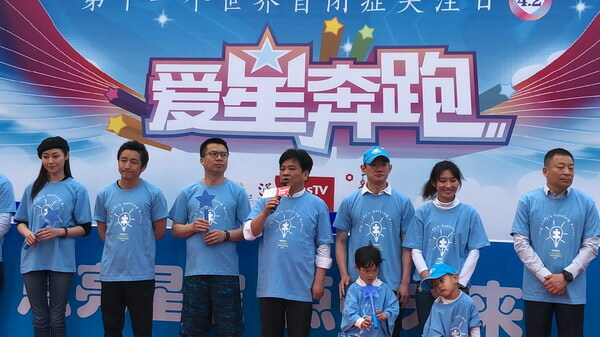 In addition to running around the tower, the day's public activities also included the children of the stars graffiti, flash dance and other forms of activities, letting the public pay attention to autistic children’s inner world. Archives of traditional Chinese medicine also provided advisory service on site that day. It not only provided a free clinic for autistic children, but also conducted free clinics and counseling for the parents who neglected their own health due to taking care of their autistic children.